At Mayo Clinic, Marina Ramirez-Alvarado, Ph.D., studies one type of protein abnormality associated with a complex and incurable disease called light chain amyloidosis. 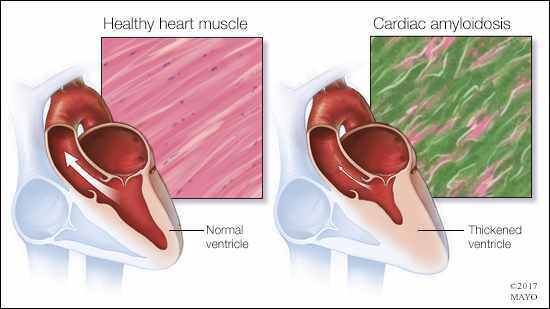 This type of amyloidosis is the most common and can affect the heart, kidneys, skin, nerves, and liver. Dr. Ramirez-Alvarado and her team just published a paper on their most recent findings in the Journal of Biological Chemistry. In the paper, Dr. Ramirez-Alvarado and her team use live cell fluorescence microscopy to show how these abnormal proteins invade cells. In light chain amyloidosis, the proteins in question are produced within the body’s bone marrow. Bone marrow contains white blood cells called plasma cells that are responsible for manufacturing antibodies. Antibodies are large Y-shaped proteins that help the immune system identify and neutralize pathogens. Antibodies are made up of two parts: “light chain” proteins in the two arms of the Y, and “heavy chain” proteins for the base of the Y. Read the rest of the article.